Yesterday (October 3), Botswana made a clear and emphatic statement against ivory trade at the 17th Conference of the Parties (CoP17) to the Convention on International Trade in Endangered Species (CITES). 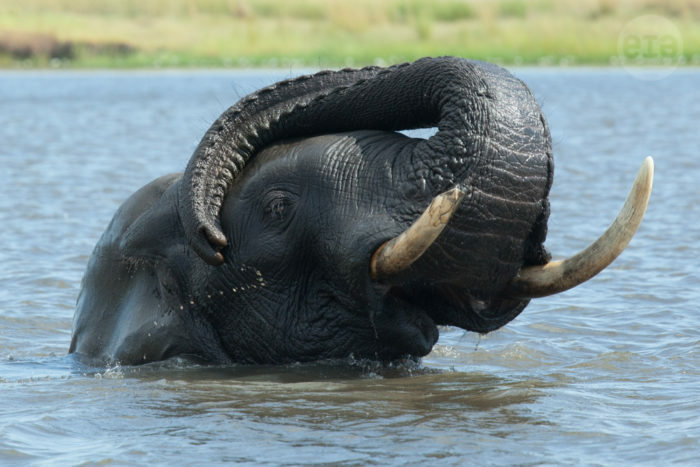 Tshekedi Khama, Botswana’s Minister of Environment, Wildlife and Tourism, announced his country would unreservedly and voluntarily relinquish Appendix II status for its own elephant populations to support an up-listing of all African elephants to the much tougher Appendix I protection. Welcoming the news, EIA’s Executive Director Mary Rice said: “This is an historic move by Botswana, and a very brave one, to break ranks with many of its neighbours in the Southern African Development Community (SADC) and take a principled stand to put a future for elephants before commerce in ivory. Botswana’s change in policy is one of the most significant outcomes from CoP17 and sets the stage for work to implement a complete international and domestic ban on trade in ivory. Thanking African elephant range states Benin, Burkina Faso, Central African Republic, Chad, Ethiopia, Kenya, Liberia, Mali, the Niger, Nigeria, Senegal, Sri Lanka and Uganda for submitting the proposal to up-list all African elephant populations to Appendix I, Mr Khama said that a Botswana-led survey referred to as the Great Elephant Census showed that savanna elephant populations have declined by an estimated 30 per cent – aout 144,000 elephants – in just seven years. “Poaching is so intense that in 10 years’ time we could lose 50 per cent of Africa’s remaining elephants, and in countries with small isolated elephant populations it is likely that elephants will be completely extirpated,” he warned. Mr Khama acknowledged that although Botswana has previously supported limited, legal ivory sales from countries which manage their elephant herds sustainably, it now recognised such sales can no longer be supported. “Put simply, a threat to elephants anywhere is a threat to elephants everywhere,” he said. Although the final decision taken at CoP17 resulted in maintaining the status quo of elephants – with the four populations in Botswana, Namibia, Zimbabwe and South Africa remaining on Appendix II with a zero export quota – EIA commends the strong conservation leadership demonstrated by the Government of Botswana in protecting elephants. Disappointingly – and despite a delegation of ministers from African range states asking for support for the up-listing – both the US and the European Union voted against the proposal for change as the easiest and least provocative way to maintain current international ivory trade restrictions. The decision not to up-list will probably be regarded as a missed opportunity; EIA knows from its undercover investigations that traders do follow CITES announcements and that the 1989 international ivory trade ban – when all elephants were listed on CITES Appendix I – resulted in the recovery of elephant populations in several regions, until it was diluted by the down-listing of four elephant populations and two major international sales of ivory. A successful vote to up-list all populations of African elephants onto Appendix I would have sent a clear and unambiguous message to traders, traffickers and consumers that ivory trade will not be tolerated. Nevertheless, the historic announcement by Botswana does give cause for hope; the country has the largest elephant population in the world and, together with South Africa, Namibia and Zimbabwe, was once a vocal advocate for maintaining international ivory trade. It is now a powerful new ally in the global effort to halt the ivory trade and to limit its destructive impacts on wild elephant populations and local communities which so often have to face the well-armed criminal networks facilitating much of the illegal ivory trade. 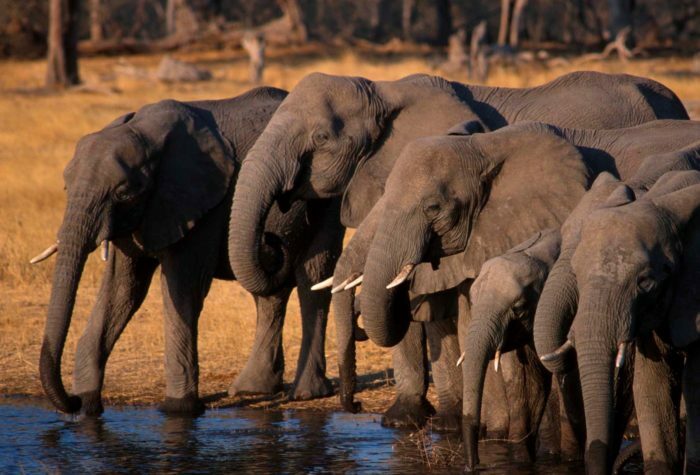 With this announcement, Botswana has strengthened the growing alliance of African elephant range states calling for listing all elephants on CITES Appendix I. Together with several Asian elephant range states which also support the up-listing, such as India and Nepal, this is a powerful and growing call the international community cannot ignore.